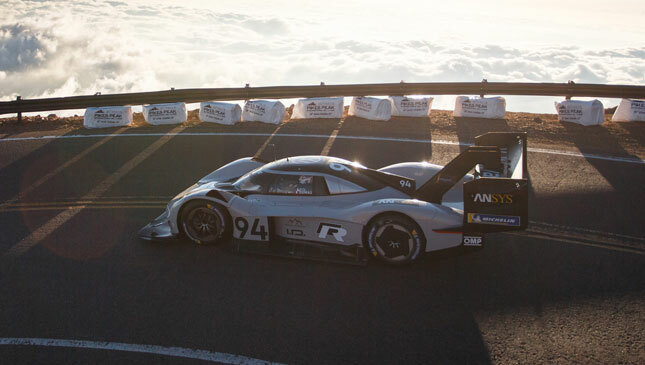 The Pikes Peak International Hill Climb has a new record-holder, and it's electric. The Volkswagen I.D. 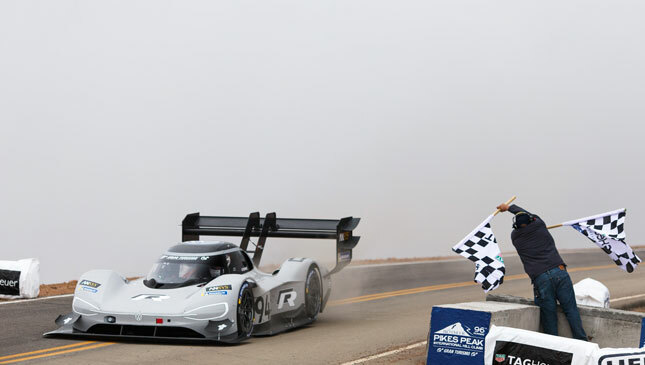 R Pikes Peak just did the climb in 7 minutes 57.148 seconds, setting not only a new record for electric vehicles, but also breaking Sebastien Loeb’s all-time record by 13 seconds. “The I.D. 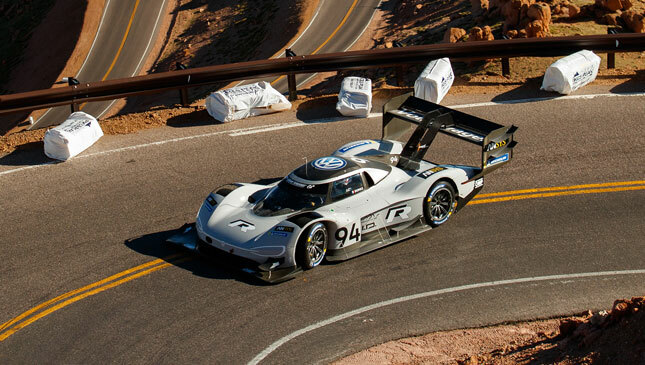 R Pikes Peak is the sporty forerunner of Volkswagen’s I.D. family. 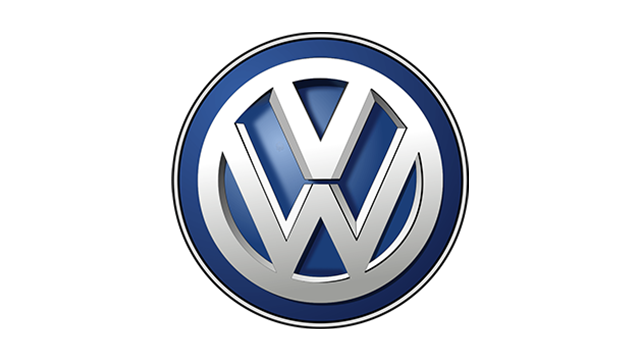 Today, we saw what this technology is capable of,” said Volkswagen executive Frank Welsch. “Every Volkswagen employee can be extremely proud of today’s result." "With a combination of outstanding engineering skills, passion and commitment, the team has managed to create a fantastic racing car in just eight months. The Volkswagen I.D. 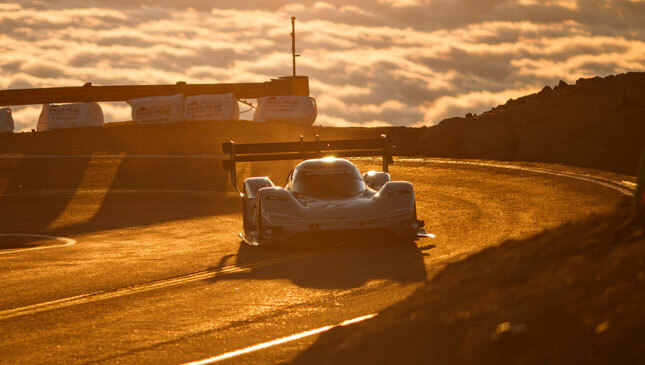 R Pikes Peak has now set the fastest time in the history of this hill climb, which spans more than 100 years–that speaks volumes for electric mobility," he added. 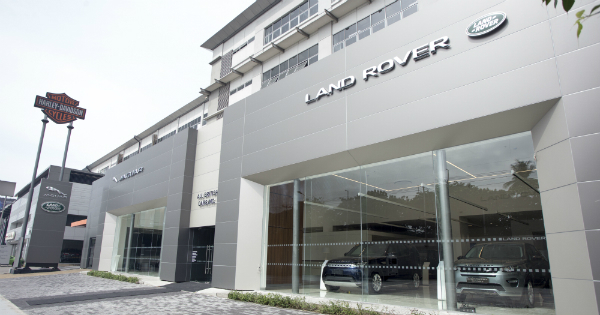 Including its new battery cells, the I.D. R Pikes Peak weighs just 1,100kg, and was designed to maximize downforce and power to get the best possible performance. Its E-engines, meanwhile, generate a total of 670hp. 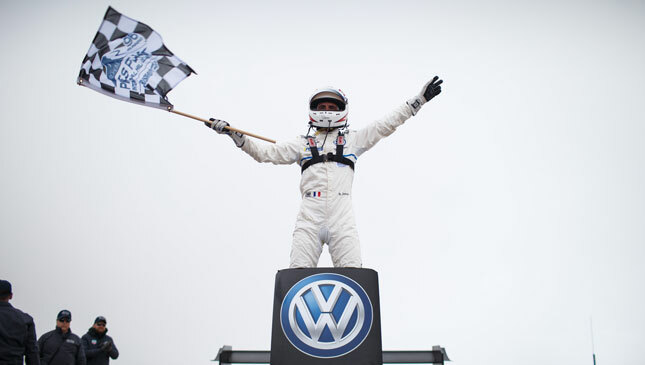 Congratulations, Volkswagen! 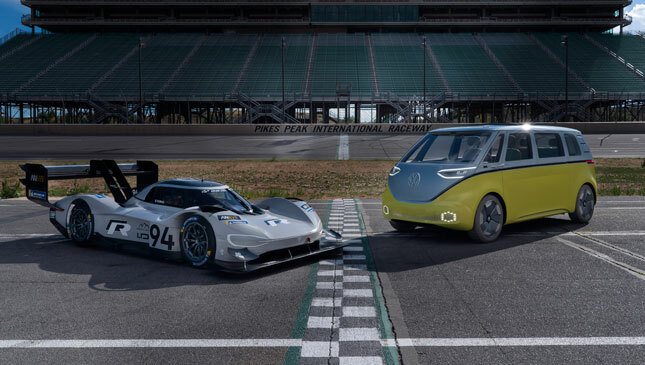 We can't wait to see what your electric future has in store.